Well, my grandmother always said that things like this come in threes. We've had Spartan Games. We've had Tor Gaming. Now we have On the Lamb Games. 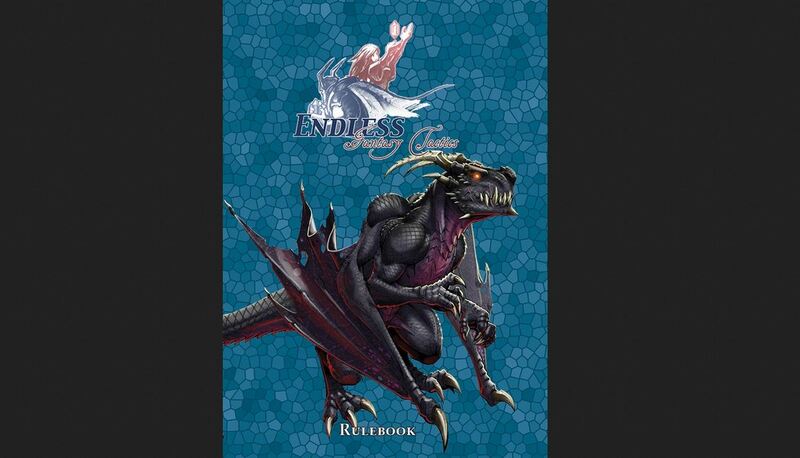 The makers of Brushfire and Endless Fantasy Tactics is closing its doors. Since the aggregate posts take up the 2pm slot, I'm just going to have to put this announcement from On the Lamb Games at the 3pm spot. I hope Emily doesn't mind too much. 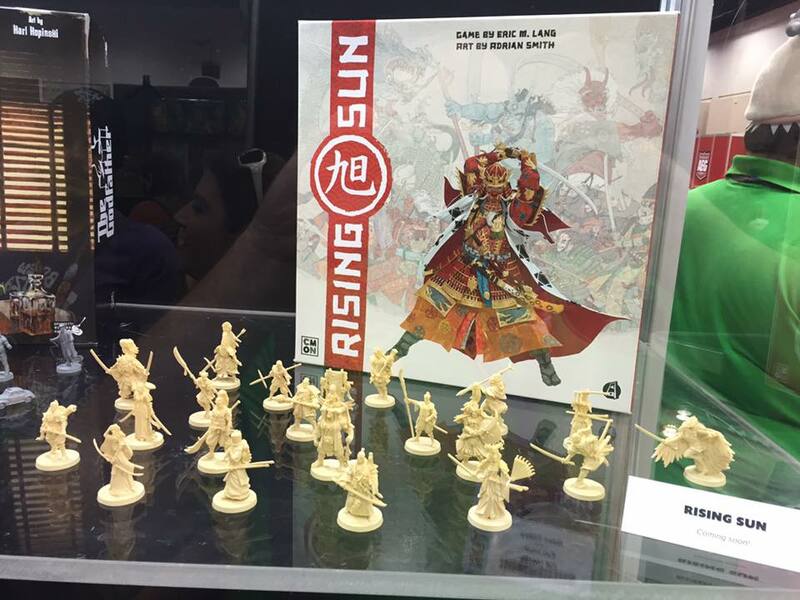 Anyway, they've posted up what new things they'll be having for you all at Gen Con. It's been quite a while since we've had us some Brushfire news. Basically, the game went on a hiatus while On the Lamb worked on Endless Fantasy Tactics and some other items. Well, now there's a chance that Brushfire will be coming back. It seems it's turning into "sale announcement day" here on TGN. We've had Brother Vinni. We've had Miniature Building Authority. Now we can add On the Lamb Games to our list of those having a holiday sale. This one lasts a bit longer than the others, though, giving you until January 2nd to get your orders in to Matt and Em. 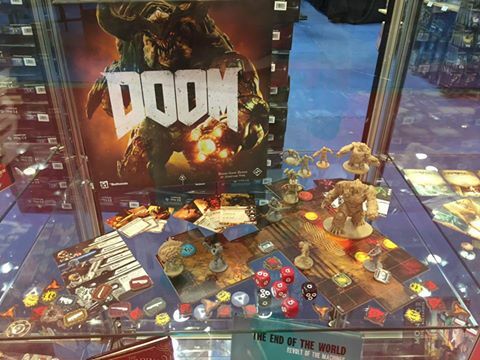 At the CMON Expo, there was a lot of stuff going on, and not just for CMON, itself. Several vendors were there showing off new projects they had in the works. One of them was On the Lamb Games. 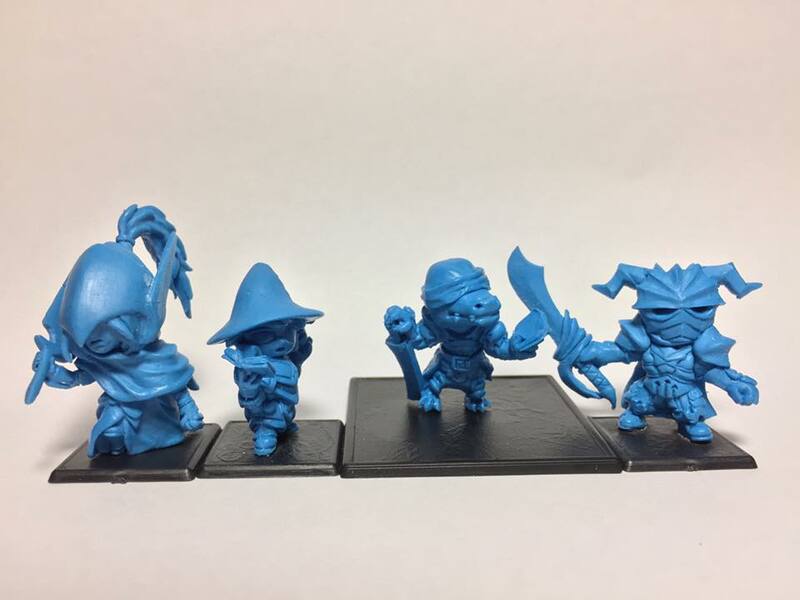 I talked with Em and Matt and they showed me a prototype of their new 2-player starter boxes for Endless: Fantasy Tactics. Those kits are now available to pre-order from the On the Lamb website. 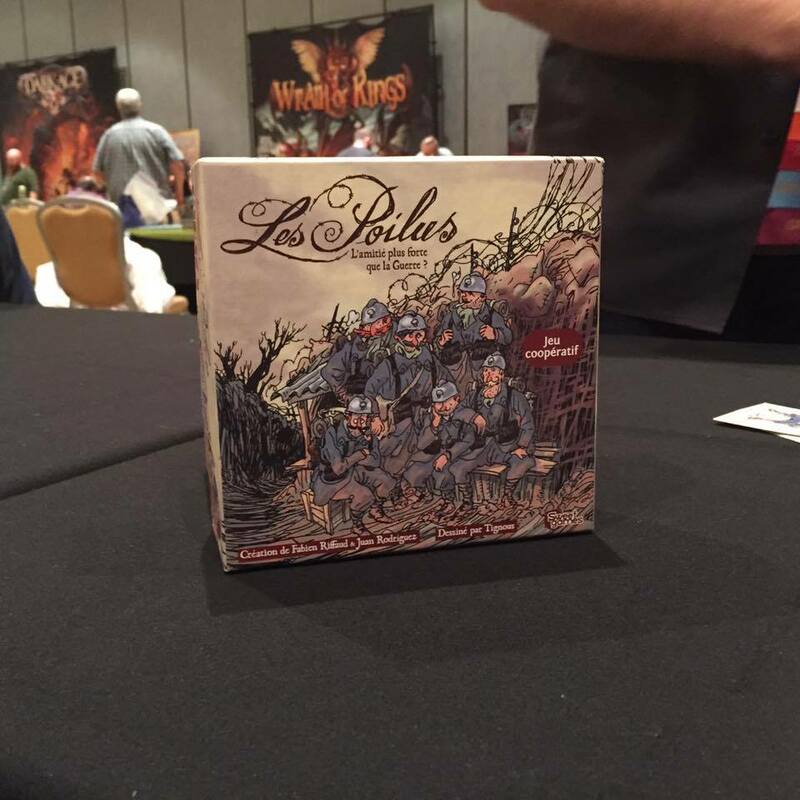 We're just underway here at Day 2 of the CMON Expo 2015. Yesterday was a blast. This place was buzzing with excitement. I must say, it's by far the busiest Friday ever at the show. It's great to see how it's grown over the past years. Over on the TGN Facebook page, we've posted up some photo galleries from some of what's going on here. 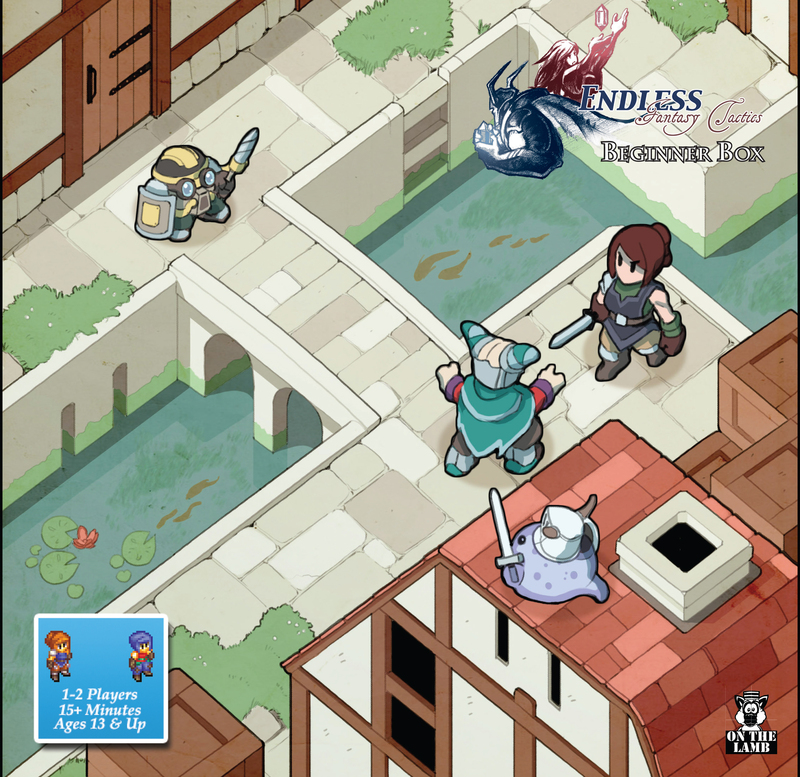 On the Lamb Games has launched their Kickstarter campaign for Gaiden Series, their new expansion for Endless: Fantasy Tactics. 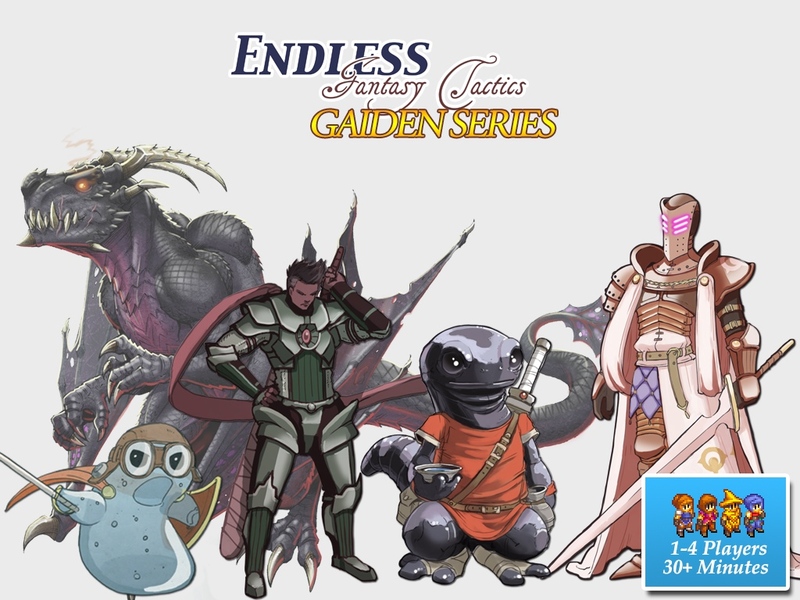 The main focus of Gaiden Series is to expand the number of scenarios available for Endless: Fantasy Tactics. There have been two "pay what you want" series of scenarios released online by On The Lamb Games, but they want to bring those to a print format for you. Also, they have two more scenario series that they'd like to make. There are also variant profile cards for numerous miniatures that have already been released, increasing the re-playability of those units and expanding into further options for team builds. There's also a quartet of new minis they're looking to get sculpted. They're ones people have been clamoring after for a while. 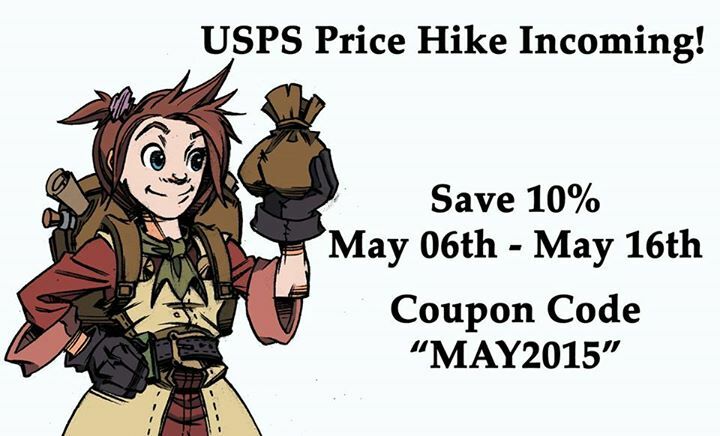 On the Lamb Games, due to the USPS raising their rates, will also, unfortunately, have to be raising their shipping rates. Yeah, I know, that's not news anybody wants to hear. But hey! In the meantime, they're having a sale on their website where you can save 10% off your order. So take advantage of the deal and the still-lower shipping prices before things change. You have until May 16th. CMON Expo is another week closer. And as is the custom, there's a new update about what you can expect to find at the show. 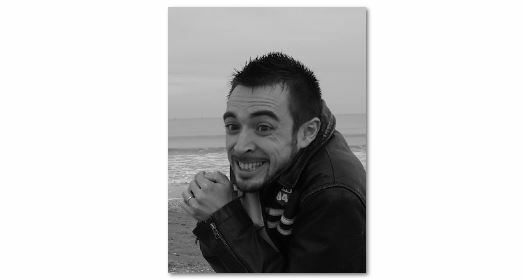 This week's update adds Patrick Masson to the guests page. We also have a panel and an event from On the Lamb Games. Finally, rounding out this update, is a Guilds of Cadwallon tournament. This is shaping up to be the biggest Expo ever. Check out all the details below the cut. On the Lamb Games once more graces our 2pm spot with an update about Endless: Fantasy Tactics. They've posted up their releases they'll have for the game for the next two months. Having completed their Kickstarter campaign shipping, the minis from that are now coming available to put on your tabletop. There's quite a lot of them. CMON Expo creeps ever-closer, and with each week, we get more exciting news about what's going to be at the show. This update adds two new events (one for Rum & Bones and one "Ultimate" event) and a spotlight for On the Lamb Games, who will be at the show. 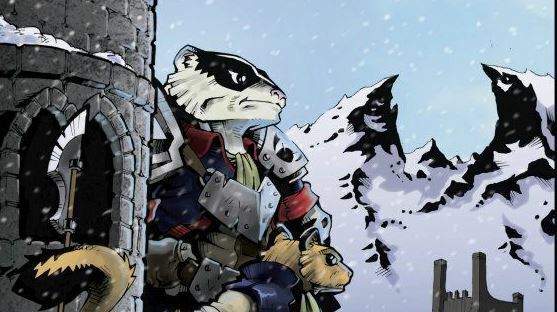 Geek Native had themselves a chat with Matt from On the Lamb Games about what's happening with Endless Fantasy Tactics. They've also got some new artwork they're showing off for some new characters for the game. Go see why you should pick up EFT in the new year. 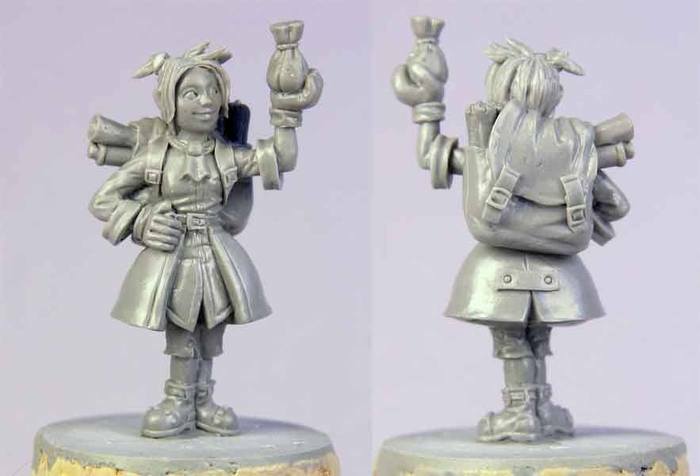 On the Lamb Games comes back to their 2pm spot here on TGN (it's been quite a while) with a pair of new minis they're showing off for Endless Fantasy Tactics. 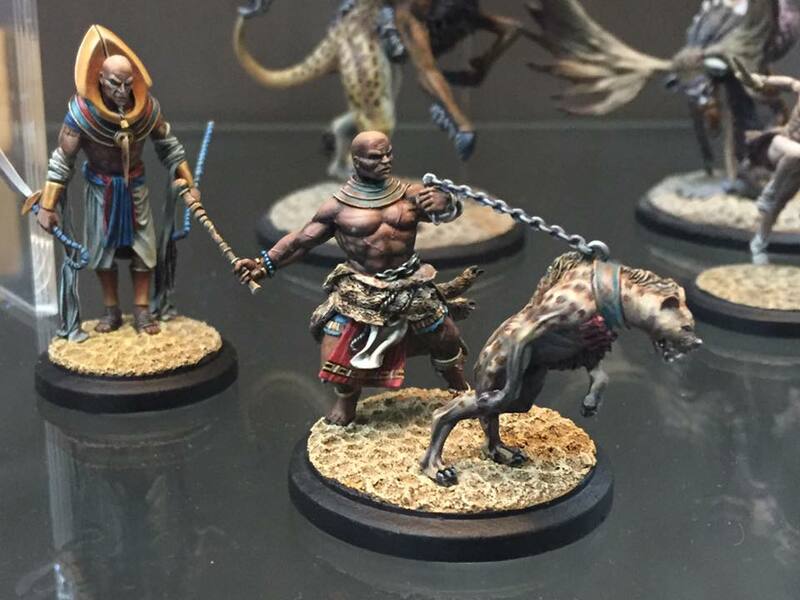 They've got Rin Azel and the Rune Fencer minis finished and should have them in stock in a couple weeks. Except for one backer-created mini, they've got everything sculpted up for their EFT expansion Kickstarter campaign. Always good to hear when those are completed. On the Lamb Games continues their Endless Fantasy Tactics series, the Misadventures of Gelato, with episode 4. On the Lamb Games is once more offering their limited edition Black Kiwi mini over in their webshop. Originally released for a limited time during Halloween of 2012, The Black Kiwi rides once again! Not only are we re-releasing the miniature, we are also including a stat card to make it playable in Endless: Fantasy Tactics along with a Halloween themed scenario. Already own a Black Kiwi? We got you covered, you can order the new card directly from WargameVault. On the Lamb Games has the next installment of the Misadventure of Gelato up for Endless Fantasy Tactics. The Kappa Krew is up to no good, and its up to Gelato to stop them! The Misadventures of Gelato Episode 02 is now available! 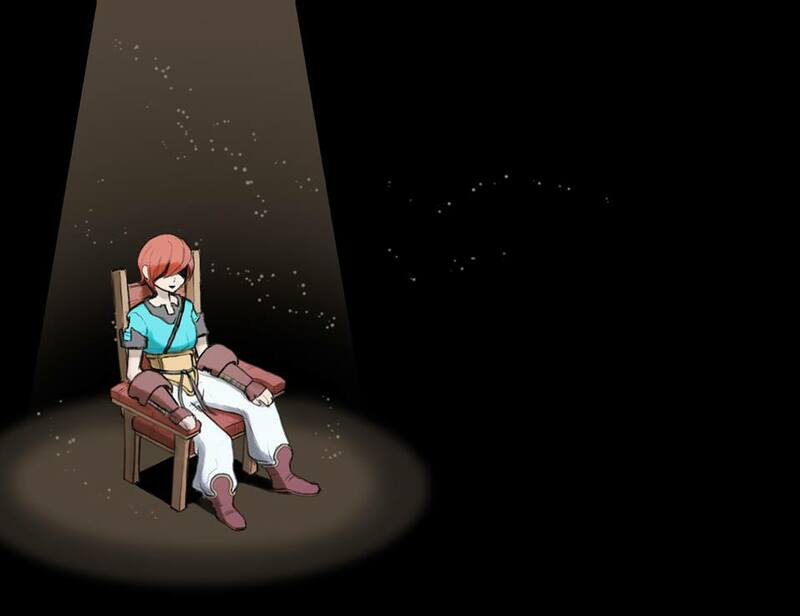 On the Lamb Games has posted up some new downloadable content for Endless Fantasy Tactics. Go pick up the Misadventures of Gelato now. We are pleased to announce the release of DLC 02 – The Misadventures of Gelato for Endless: Fantasy Tactics. This is a Pay What You Want release, customers are able to select any price (Including Free!) they wish when checking out. As with DLC 01 (The Trials of Battsu), we will be updating the PDF for Gelato every other week during our regular Visiting Hours post. Once you have added the DLC to your Wargame Vault account you will receive an e-mail whenever the update goes live, and there is no additional cost to download the updated files. 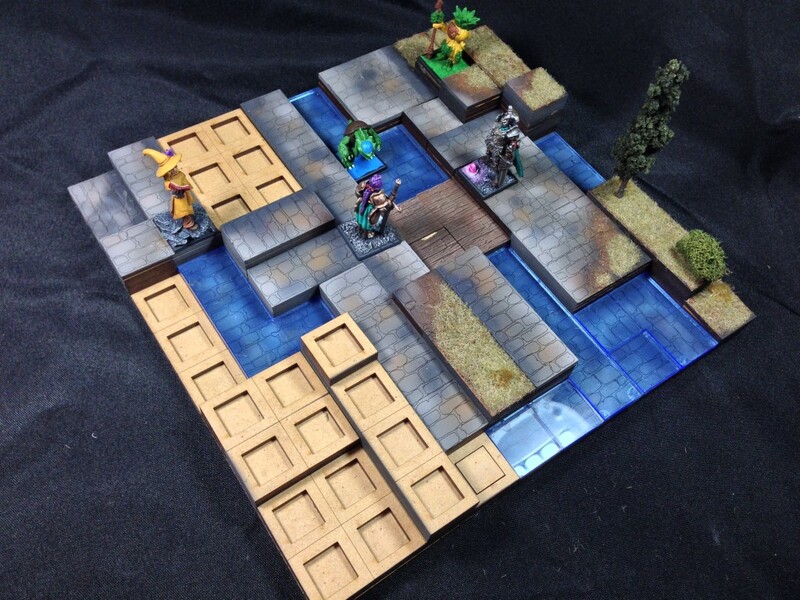 On the Lamb Games is showing off a couple prototype shots of their new modular terrain system, called Geomancer, that they're working on for Endless Fantasy Tactics. On The Lamb Games and Warsenal have teamed up to announce the upcoming release of the Geomancer Modular Terrain System. Geomancer will allow you to take your games of Endless: Fantasy Tactics to the next level, by giving you a fully modular 3D grid to play on. 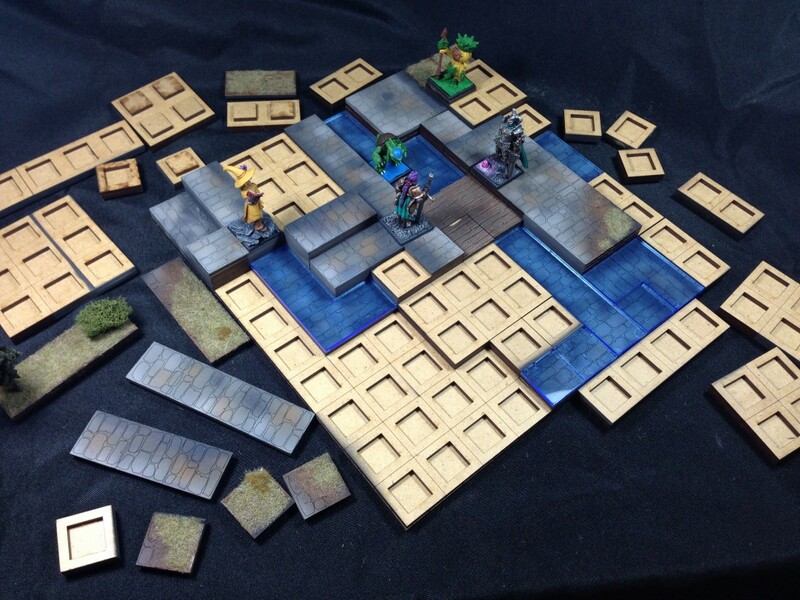 Geomancer base sets will include an 8×8 base to match the scenarios provided in The Miasma War campaign expansion, and Endless‘ Free DLC. These bases can easily be linked together to create larger play areas in many configurations. More information on pricing, and exact contents will be released next month.